The sun is shining on solar energy across the world. In 2012, a record 31,100 megawatts of solar photovoltaics (PV) was installed, pushing the total global solar power capacity past 100,000 megawatts. Now, new reports from the Earth Policy Institute and Worldwatch Institute find that more countries are getting into the solar power game as costs come down and installations ramp up. Solar PV installed capacity increased by 41 percent in 2012 alone, with more than 30 countries now claiming capacity of over 100 megawatts—a figure that is projected to double by 2018. The countries with the most installed solar PV capacity rank as follows: Germany (32.4 gigawatts), Italy (16.4 GW), the United States (7.2 GW) and China (7 GW). Around 60 percent of solar PV is manufactured in China and the rapid pace of production has significantly brought down the prices of solar PV worldwide, which in turn has helped China install more capacity. The lower costs are why global capacity increased in 2012, despite the fact that investments in solar energy actually dropped 11 percent from 2011 to $140.4 billion. In July 2013, the Chinese government set a goal of 35,o00 megawatts by 2015, which means China could challenge the dominance of the European Union, where 76 percent of global solar power use occurred in 2012 and where 68 percent of the world’s solar PV capacity is installed. Government incentives after the Fukushima nuclear disaster have spurred more large-scale solar PV projects, which may mean Japan will install the most capacity in 2013 at around 9,000 megawatts. The Earth Policy Institute report also cites emerging economies such as India as ramping up large-scale solar projects while Bangladesh and Peru increase PV capacity in off-grid homes located in rural areas. 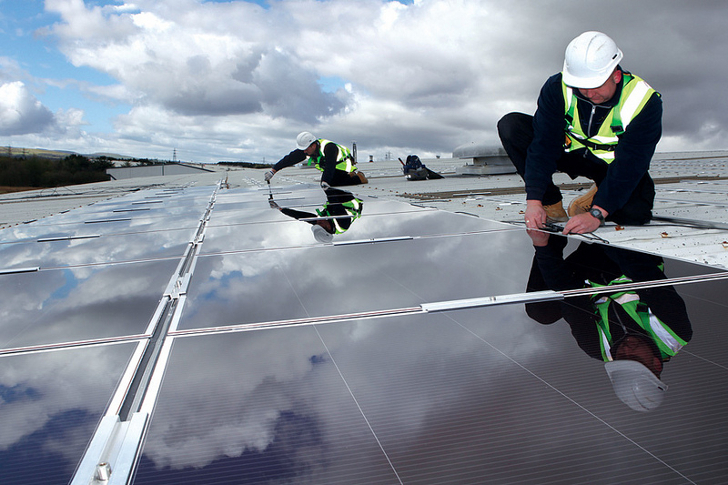 Feed-in tariff incentives are credited with making Germany and Italy world leaders in solar energy, even while feed-in tariffs are winding down in these countries as the solar industries mature. Renewable portfolio standards in 29 states are a main driver in the United States catching up with the rest of the world in solar capacity. With a lack of a federal renewable energy policy, the United States had lagged behind in solar energy capacity despite its abundant sunshine. 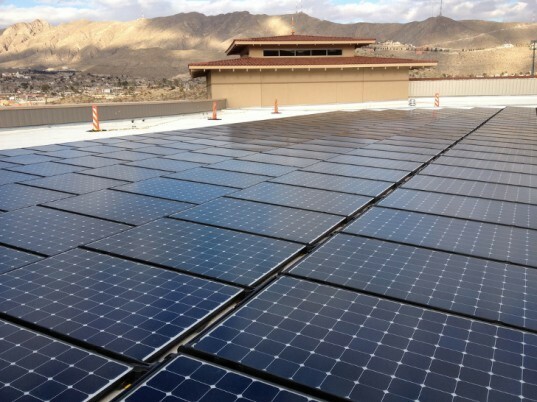 But U.S. solar installations doubled in 2011 and recently passed the 10,000 megawatt mark. Analysts predict a world record of 35,000 installed PV in 2013 with PV capacity expected to triple by 2018 to 308,000 megawatts.